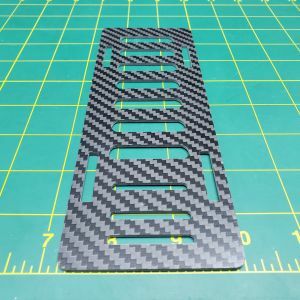 Black Carbon-fiber battery tray. 1 tray per package. This is lighter and stronger than the similar sized/style black fiberglass trays seen on the market. Picture 3 shows the item mounted in a Deep Vee style boat for reference only. 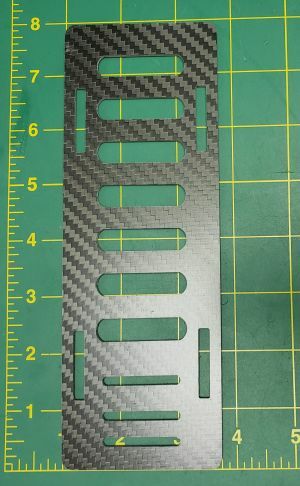 These trays can be mounted edge to edge like in the picture. 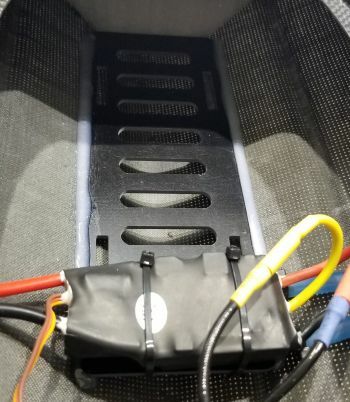 Or can be mounted in a flat area with the included tabs to lift the battery 3.5mm off the hull floor. These fit packs up to 200mm x 55mm. Requires glue to attach pads to the tray in the area you would like them.